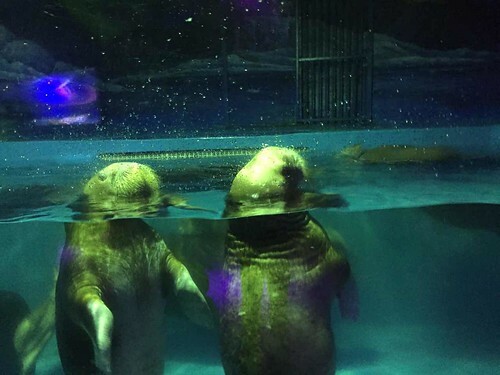 Fifty of China’s animal groups are now leading the campaign calling for Grandview Mall in Guangzhou to close its aquarium and free the animals it keeps. 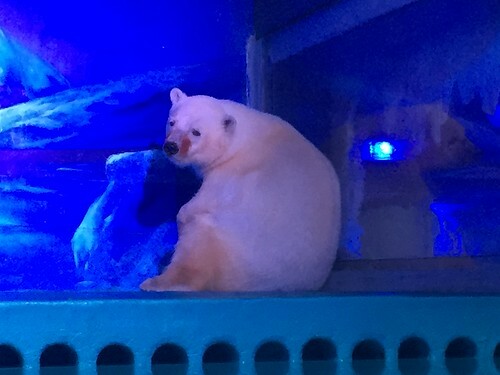 This includes Pizza – a polar bear that has made worldwide headlines, prompting over a million signatures requesting his release. There continues to be an offer from Yorkshire Wildlife Park to rehouse Pizza. It’s an offer that is yet to receive an official rejection though reaction from Grandview has been largely negative. Previously Animals Asia met with Grandview bosses on two occasions to discuss the possible release of Pizza citing welfare concerns, while suggesting short-term solutions to improve her care. As a result of these meetings, Grandview installed basic enrichment items and a snow machine to help improve Pizza’s conditions. Animals Asia’s offer of further assistance also remains open, although the we maintain the bear requires better facilities than can ever be available in her present location. Confusion remains over Grandview's plans to both expand their facilities and increase the number of animals in their care. Criticism of their animal welfare standards prompted suggestions that it had stalled. However, Grandview bosses still appear bullish about expansion plans. Unfortunately, while Grandview has prompted vast opposition in China and internationally it appears to continue to be commercially successful. While criticism continues in Chinese media it does not appear to be affecting crowds as yet. In this context, the public announcement by a consortium of Chinese animal welfare groups is significant. It’s important that Chinese animal lovers continue to be heard on domestic animal welfare issues. Meanwhile Pizza bear has become a figurehead for the wider issues of animals being used commercially in China. This includes facilities such as malls, theme parks and safari parks as well ongoing concerns over animal performances, which are ongoing despite a ban. 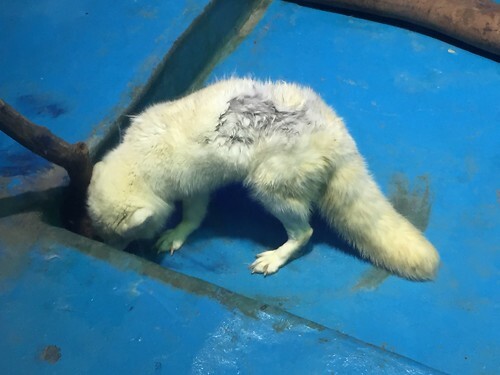 Animals Asia’s Captive Animal Welfare programme continues to focus on all animals suffering hardship throughout the country as a result of poor facilities and care. That includes supporting animal groups to improve lives and also maintaining dialogue directly with captive animal facilities in order to improve care. Pizza bear has brought increased scrutiny on projects across China and it’s hoped that this focus will ultimately make them less palatable to investors, public planners and general public.